WHY IS THIS TEST NEEDED IF BLOOD WAS ALREADY TAKEN? This is a 3 hour test that begins around 9:00 am on Wednesday and 8:30 am on Friday. The purpose of this test is to see how your child's own body's pituitary gland makes growth hormone (GH). GH is not produced in a regular fashion throughout the day, but rather in pulses, and a random blood test is therefore not able to tell us if your child is making adequate GH. Therefore, when your child has this test done, we will give your child two medications that stimulate his/her body to produce growth hormone. Then we measure this hormone at regular intervals during the 3 hours. HOW DO WE PREPARE FOR THE TEST? Nothing to eat or drink after midnight the night prior to the test or in the morning prior to the test. The smallest amount of food/drink can give false results, and the test will not be conducted. Bring with a favorite distraction game or device, but remember we do NOT have WIFI, so pre-download any movies, etc. Bring the 2 medications that were called into your pharmacy with you (Glucagon and Zofran). I will administer these medications in the office. Bring a snack (juice/crackers, etc) to eat right after the test. The blood sugar can drop during the test and I would like your child to eat something before leaving the office. Bring a pillow or blanket. Some children lie down and sleep during the test. WHAT EXACTLY CAN WE EXPECT? I will place numbing cream which will sit for 10 minutes. Then, an IV catheter will be placed into your child's vein and baseline bloods will be drawn. A medication (L Dopa) will be taken by mouth (with a small amount of water). (The capsule can be opened if your child does not swallow pills). I will then give a subcutaneous injection of another medication (Glucagon). The IV (plastic tube) will remain for the entire test so I can draw blood off of it. In other words, that first stick is the only one that should be required unless the IV becomes dislodged. Most children are surprised by how easily the test proceeds. Some people do exhibit some brief symptoms of being nauseated and even vomit during this test. The Zofran is to help protect that. This goes away very soon after the test. Your child should not eat anything until the test is complete. WHAT SHOULD WE DO AFTER THE TEST? We encourage you to bring a light snack to eat when the test is complete prior to leaving the office. We then recommend a light lunch afterwards. Your child may resume normal activity, but we would recommend that your child take it easy since it is a long morning. These test results usually take 2-3 weeks to return. I will call you with the results. Use the links below to browse common conditions. 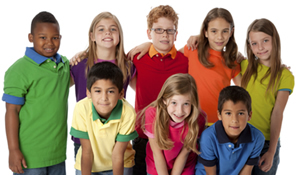 All articles are provided by www.HealthyChildren.org and the American Academy of Pediatrics (AAP). The American Academy of Pediatrics (AAP) and its member pediatricians dedicate their efforts and resources to the health, safety and well-being of infants, children, adolescents and young adults. Acetaminophen (Tylenol, Feverall, Paracetamol) is available without a prescription. Children over 2 months of age can be given acetaminophen. Give the correct dosage for your child's weight every 4-6 hours, as needed for fever or pain. No more than 5 doses in 24hours. Suppositories: Acetaminophen is also available as a rectal suppository in 120-mg, 325-mg, and 650-mg dosages. Suppositories are useful if a child with a fever is unable to take oral medication. Ibuprofen (Advil, Motrin) is available without a prescription. Children over 6 months of age can be given ibuprofen. Give the correct dosage for your child's weight every 6-8 hours, as needed. Alternate medicines for only 24 hours or less, then return to a single product. Children (through age 21 years) should not take aspirin if they have chickenpox or influenza (any cold, cough, or sore throat symptoms). This recommendation is based on several studies that have linked aspirin to Reye's Syndrome, a severe encephalitis-like illness. Most pediatricians have stopped using aspirin for fevers associated with any illnesses.